One of the biggest decisions you have to make when you are updating your kitchen is your cabinets because your cabinets will be the focal point of the kitchen. 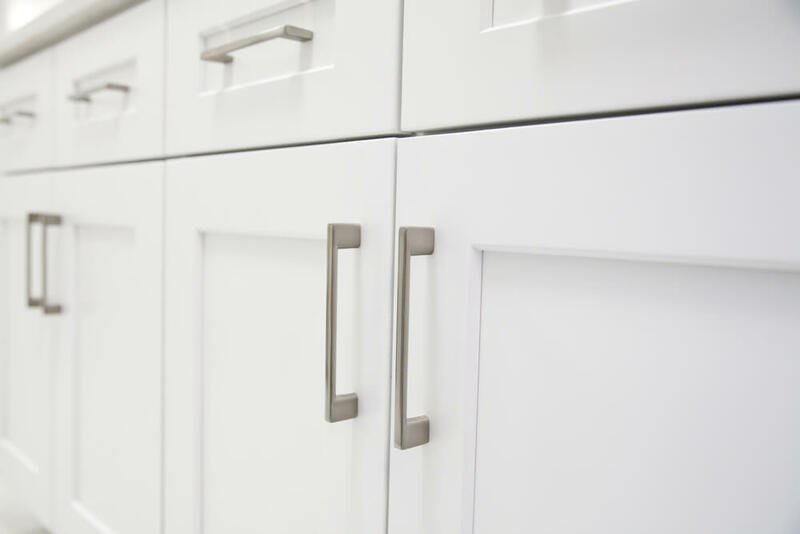 Here are some important factors to keep in mind when you are choosing your kitchen cabinets. The best place to start is to think about your overall style of your home and what you want your kitchen to be. Your cabinets will go a long way in creating your style. You may want a more traditional style of all wooden cabinets or a modern and chic look with all white and glossy cabinets. Then there are the more practical questions, like will these cabinets be easy to clean? Would you need to consider climate like humidity in the warm New England Summers? If you think about all these questions then you will be happy with your new kitchen for years to come. Do you want a discrete design or statement cabinets? Next, you will need to design your cabinets and how they will fit into your kitchen. Keep in mind that your cabinets are used for storage and you can choose to make this a feature you see or a hidden feature in your home. If you want to make your cabinets blend into your home vs. stand out, then look for colors and designs that match the rest of your kitchen or style of your home. If you have a mid-century modern look in your home and all the wood matches, it would be a good idea to match that style and that type of wood. If you want your new cabinets to make a statement in your kitchen, then you can add colorful accents or add in a glass door to put your kitchen pieces or even a pantry on display. This creates a great farmhouse or country house look. This is important because once you have your cabinets, they are not an easy piece to swap out. You can opt to have more drawers in your cabinets vs. shelves inside. You can add drawers that pull out of the cabinet to make smaller kitchen items easier to come out. This will also play a part into deciding how high you want your cabinets to be, if you have young children and just starting a family then maybe a little shorter of cabinets might work best. Cabinets are a versatile piece of your kitchen, not just for design and look, but also the functional aspect. If you are unsure what is right for your kitchen, call Magnificent Kitchens. We have designers who can work with you and your space to create cabinets that you will like for years to come. To get started you can contact us on our website or call us at 508-875-4004.